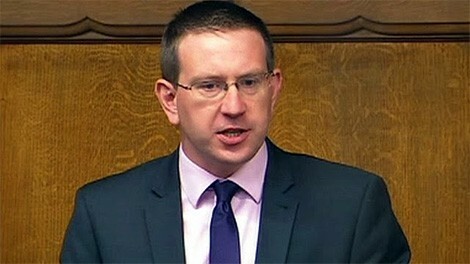 A PARLIAMENTARY debate at Westminster Hall heard from Andrew Gwynne MP that he had been contacted by a number of people in his constituency about the mis-selling of Swiss Franc mortgages by Alpha Bank in Cyprus and poor advice received from solicitors purporting to be acting on their behalf. Andrew Glynne focussed on a case involving one of his constituents, who he referred to as “Mr TC”. In 2007 Mr TC and his brother-in-law wanted to purchase a retirement property in Cyprus through a UK company called ROPUK and after meeting with the company’s representatives they decided to go ahead with the purchase. Having paid a deposit of £25,000 they understood that when the property was completed they would visit Cyprus to inspect the property and then sign a mortgage agreement. They were advised by ROPUK’s representative that a Swiss Franc mortgage would be best, but they did not sign up to any agreement, except to give a Cypriot lawyer Power of Attorney in any transactions that they agreed to. In 2010, when the property was due for completion, Mr TC visited Cyprus to monitor the progress of the build; he found that it wasn’t even half finished – and it’s still the same today in 2015. Mr TC believes that the Power of Attorney was not executed in accordance with the common or Cypriot law, therefore rendering it illegal – and anything signed using the Power of Attorney invalid. Mr TC and his brother-in-law first heard of Alpha Bank when the bank started to pursue them for payment. They did not personally sign any mortgage agreement; it was signed by a third party without their knowledge or consent and they had never even seen the mortgage agreement with the Alpha Bank despite repeated requests. They believe that the Alpha Bank, in effect, released all of the money from their fraudulently obtained mortgage agreement to fund something that is simply not there. They now owe the bank some £257,000 plus interest against the quoted purchase price of £150,000 less their deposit. The Alpha Bank issued them with a writ. By the time the Alpha Bank’s case against them received its second hearing in London in September 2014, Mr TC and his brother-in-law had appointed Cubism Law to represent them. Their case was led by Duncan McNair, who they understood to be an expert in this field. They paid the firm £2,000 up front to represent them. A barrister attended court but they were simply told that a European Enforcement Order had been ratified and that a charge had been placed on their properties in the UK. They then had to defend the European Enforcement Order in Cyprus, appointing a law firm recommended to them by Cubism Law, which they paid. The Enforcement Order was overturned with reservation when the case in Cyprus was eventually heard in February this year. However, despite informing Cubism Law on 28th October 2014 and again on 10th November 2014 not to incur any further costs, these specific requests were ignored and the costs continued to mount. Mr TC feels incredibly let down by the representation he received and believes that a lot of the costs incurred were avoidable and totally unnecessary. He has complained through the firm’s complaints procedures and received what he and his brother-in-law consider to be a derisory offer of redress and they have referred the matter to the Law Society and the Ombudsman, as has Andrew Gwynne MP. The following 20 minute video is a recording of the Parliamentary debate at Westminster Hall. We had to go to the Cypriot High Commission in London to get our PoA ratified so if they had to do the same then they didn’t have to be in Cyprus. Scandalous action by Alpha Bank. Why aren’t these unscrupulous individuals at the bank being arrested and imprisoned? In the UK they would have been fined several times over. Taking someone else’s life and property have always been illegal in civilised countries. Alpha Bank are embroiled with 1000’s of court cases, how can the bank justify it’s actions considering it’s own incompetence and neglect that caused this? They screwed up big time – it Is time they paid up rather than force innocent victims to go through the muddy legal process. The individuals at the bank are devastating peoples lives, yet suffer little compared with those they inflict their false and exaggerated claims on. XXXXXXXXX are well known in the Cyprus fiasco, and have charged some small groups over Â£250,000, but seeing as the banks have refused to properly negotiate with anyone, then few lawyers are making any progress. XXXXXXX offer the best hope in my opinion, at least in the UK, and seem very genuine. The limitation laws come into force 31.12.15 when any right to claim against the banks and others or defend an action, expires for those who bought before 31.12.09. (Editor’s comment: I have removed the names of the organisations to which you referred. The MP who named names has ‘privilege’, which allows members of the House of Lords and House of Commons to speak freely during ordinary parliamentary proceedings without fear of legal action on the grounds of slander, contempt of court or breaching the Official Secrets Act. As I have reported what the MP said, my report is covered by “qualified privilege”, but your unsubstantiated comments are libellous and you left yourself open to be sued by the organisation you named – and I therefore removed the name to protect you. A European Enforcement Order will only work if there are the same rules and laws in place in all European Countries. Working to a set standard. A level at which there is mutual trust and competency in the legal system. Unfortunately Cyprus is a Country which has a proven track record. Where there is a Government who knowingly allows thieves, charlatans and dishonest developers to openly steal from overseas buyers. Such a situation as this would not be allowed to operate in the UK against a foreign buyer. It would deemed illegal. I find so much pride in Cyprus, but little else. First of all lawyers abused P.O.A with the banks and didn’t act in clients interests. Now lawyers are massively failing to protect clients interests getting redress to problems. The law seems to be there purely for the banks and the rich and the government. Is there any ordinary citizen out there at all who has received (even half) decent service from a lawyer? This is a pan-European disgrace – and at the this rate the law of mob-rule will sort start beginning to look as attractive (and helpful) as what is laughably referred to as ‘justice’. In Cyprus, there are two ways that any issue may be looked at. First, there is the one based on proper interpretation of EU and Cyprus law and second there is the one that generally prevails, which we can call Cyrus reality. On Cyprus, in order for power of attorney to be vested in anyone, all persons involved must be present at the signing, together with the legal officer overseeing the agreement and with forms of identification, so that the officer can verify that he/she knows the participants personally. Oh, and there is a stamp to pay for. If these brothers can prove, for example, that they were not even in Cyprus on the date of the granting of power of attorney, the document is invalid and they owe Alpha Bank nothing and are entitled to refunds of any amounts paid; however, the deposit and their interest in the half-built property were signed for by them personally so they remain. Then there is Cyprus reality, which often prevails, and which includes all possible manner of creative get-outs.